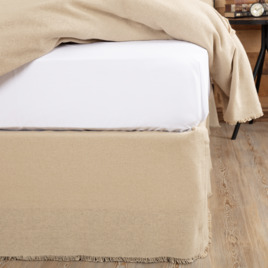 This Burlap Vintage Fringed Bed Skirt features soft cotton woven to create a vintage look in antique colored soft burlap finished with split corners. 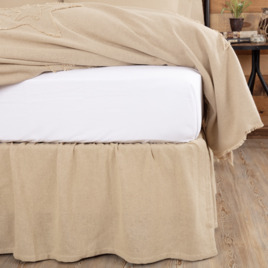 The Burlap Vintage Ruffled Bed Skirt features soft cotton vintage burlap gathered ruffle; finished with a standard hem fold and split corners. 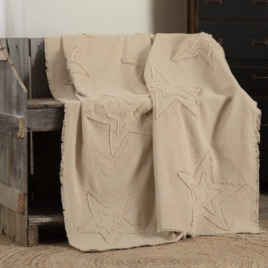 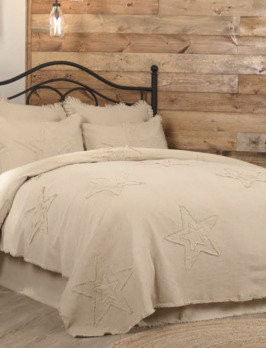 A perfect look for your rustic, farmhouse style!